Hi everyone, we hope you are well! By the way its BBC2 here. 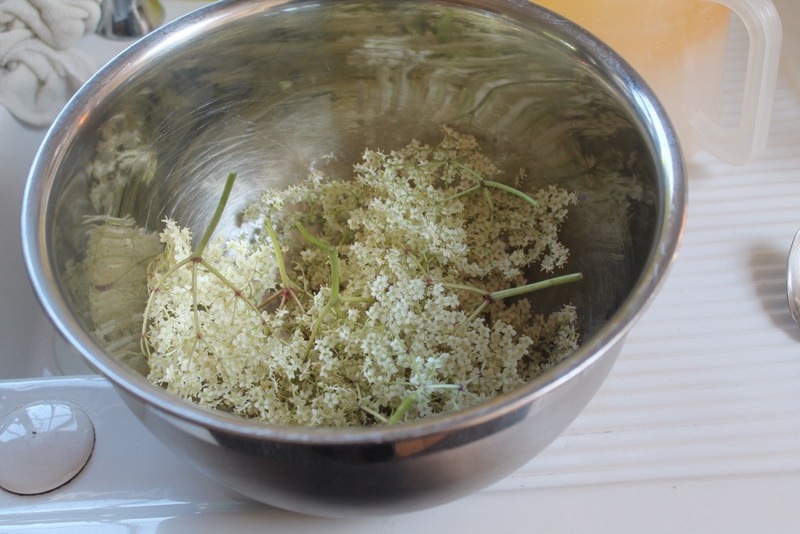 As the garden starts to come alive with the sunshine, it’s also the time to start using what produce it brings forward such as elderflower. 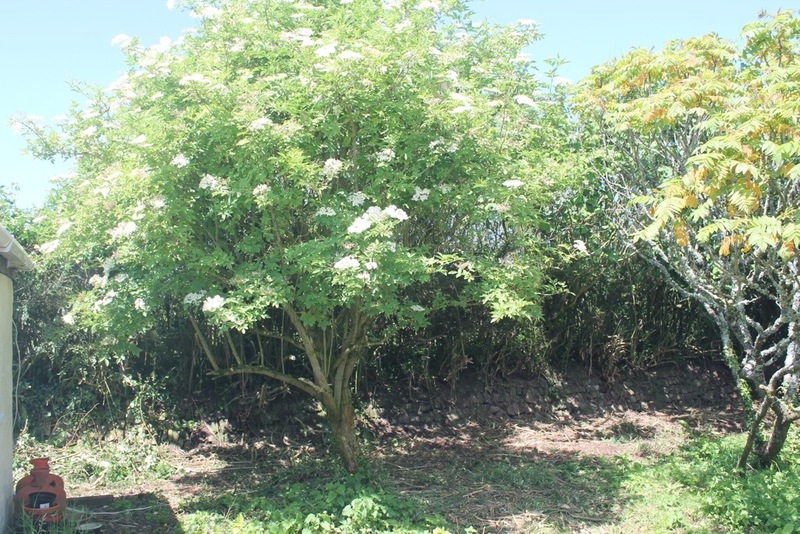 We are lucky enough to have a couple of elderflower trees in the garden and I make a lot of elderflower cordial, which is a very refreshing drink served with lots of ice on a hot sunny day. Collect the flower heads and shake any insects off but don’t wash the heads just put them in a large bowl, put the sugar and water into a large pan and slowly bring to the boil until the sugar has dissolved, remove the pan from the heat and leave to cool before adding the zest of 4 of the lemons by using a potato peeler, then slice all the lemons and add them to the bowl with the flower heads and the citric acid, now add the cooled sugar syrup and peel to the bowl, give it a mix and cover and leave for twenty-four hours. Strain the cordial through double muslin into a clean bowl or large jug so that when you squeeze the muslin to get every bit of the cordial you don’t end up with the last bottle tasting too strongly of lemons, then give it a mix and decant into clean bottles, I use old 1lt tonic bottles, it makes about 2½ bottles that should, but don’t, last 3 months in our house! Whisk the egg whites in a large bowl until they start to thicken and go white but they stay runny, add the elderflower cordial and whisk a little more, then place the mixture in an ice-cream maker and follow the manufacturer’s instruction, or place in an airtight container and p[lace in the freezer to set, making sure you return after 30 to 40 minutes to mix the sorbet with a fork until it has set. Line a flat baking sheet with baking/greaseproof paper and pre heat the oven 150c fan, lightly oil six ramekins as moulds. Now put the sugar, lemon juice, butter and golden syrup in a small pan and gently bring to the boil turning down a little so that you have a rolling boil, take off the heat and allow to cool a bit when the sugar has dissolved, sieve the flour and ground ginger into the pan and mix together well, put three heaped teaspoons of the mixture onto one end of the baking sheet leaving enough room to spread the mixture into a large disc and the repeat so you have two discs place in the oven and bake for 8 to 10 minutes or until they start to turn golden brown. Watch them closely as they can very quickly over cook and burn, take the tray out of the oven and leave to cool for a moment or two then using a fish slice carefully lift them off and place over the upturn mould, pressing them gently into shape, leave to set, repeat with the next two discs, I use the same baking/greaseproof paper, you may need to warm the mixture in the pan over a low heat to make the mixture easier to work with. In saucepan bring the water and sugar to a boil and stir to dissolve the sugar. When the sugar has dissolved put in strawberries and simmer for two to four minutes until the strawberries are softened. Now purée the mixture and add the sherry. 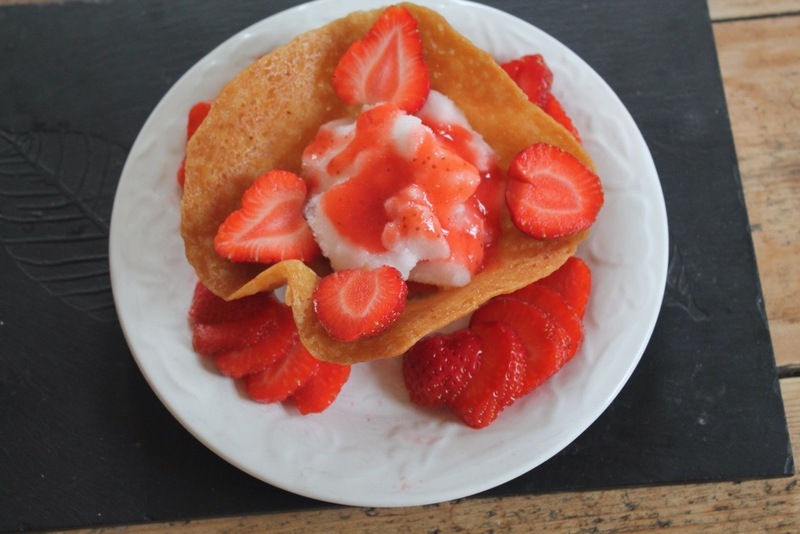 Once cooled, put one third of the mixture into a jug and place in the fridge to cool for your Coulis or strawberry sauce – because of the sugar and alcohol content it should keep ok for a couple of days or so in the fridge. 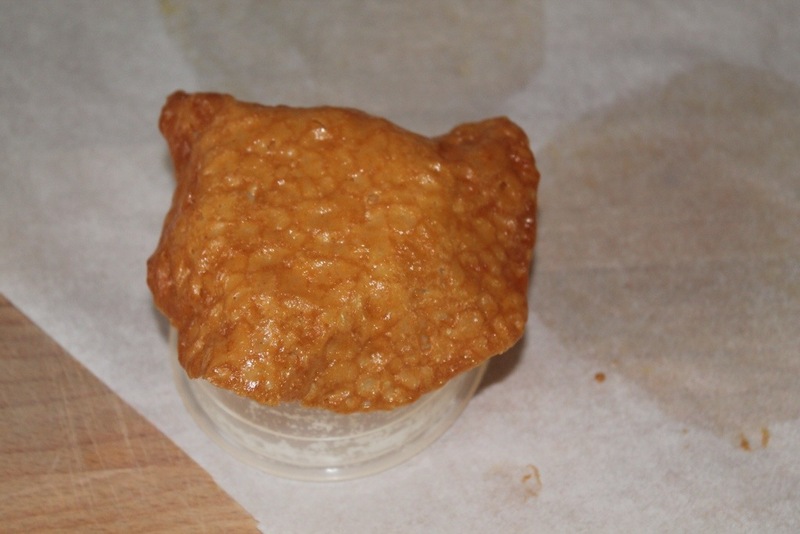 Once cooled, place the other two thirds of the mixture into a container that can be placed in the freezer. 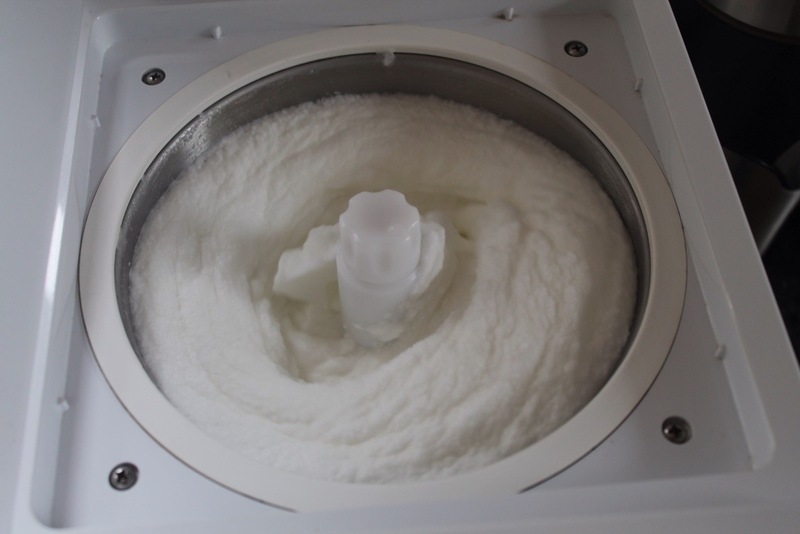 Then every half hour to forty minutes or so, run a fork through the mixture to break up the ice crystals as they are forming. This should take about three to four hours but could be longer. 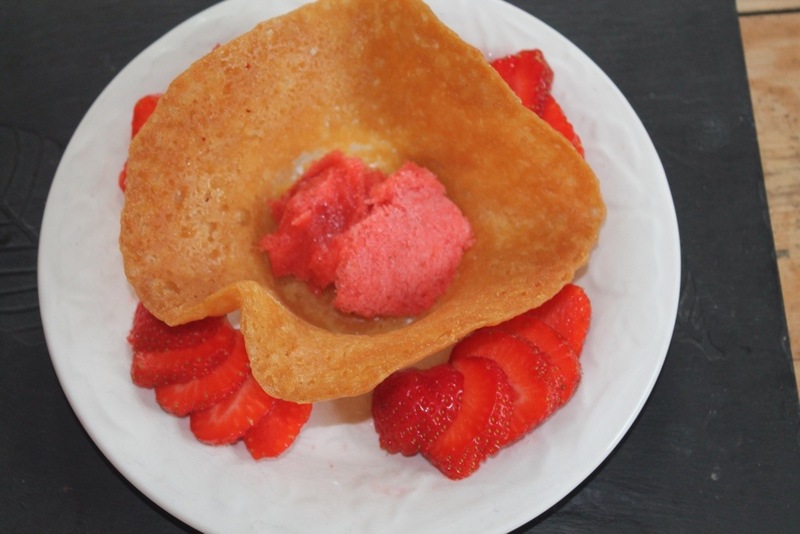 These are a great way to end a dinner as they can be made in advance and filled with whatever you like; we used some of BBC1’s strawberry granita on the bottom, a helping of my elderflower sorbet, topped with fresh strawberries and strawberry sauce . BBC1: I love it when an idea comes together and even though I say so myself these were fabulous! We both loved them and Liz certainly seemed to enjoy them. 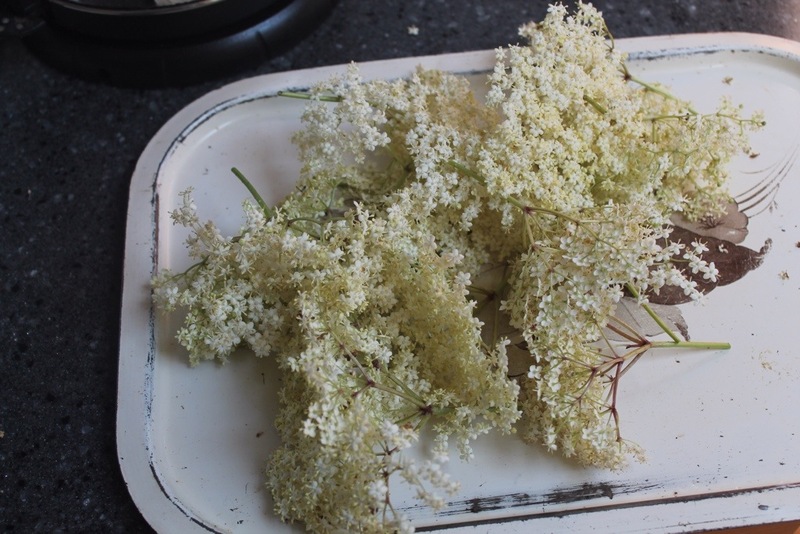 Do give it a go if you can, and if it’s too late for elderflower where you are bookmark the page and make it next year. We promise you won’t be disappointed. 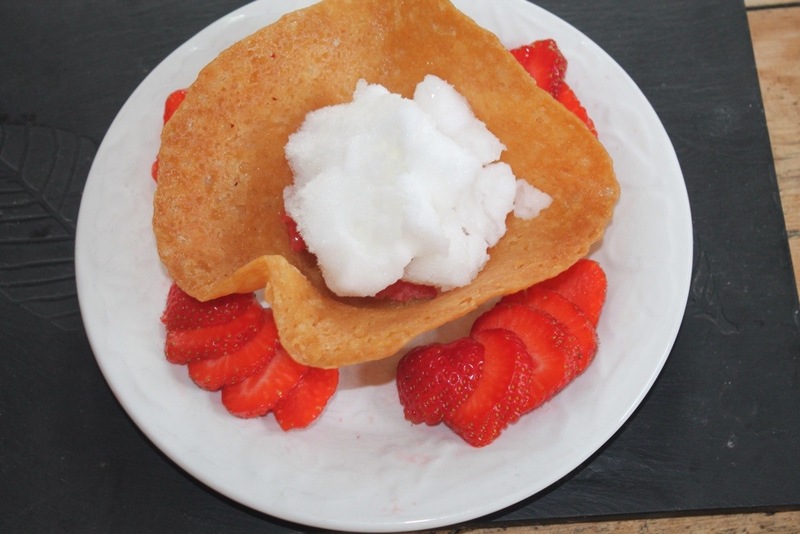 Tags: brandy snap, coulis, elderflower, lemons, sorbet, Strawberries. Bookmark the permalink. Previous post ← Chocolate and Banana Tart With a Quick & Easy Banana Ice Cream – A Eurovision Dessert. As well as looking delish looks stunning also. Nice One guys. Thank you. Is very tasty and refreshing! Will certainly have a go at that next year!